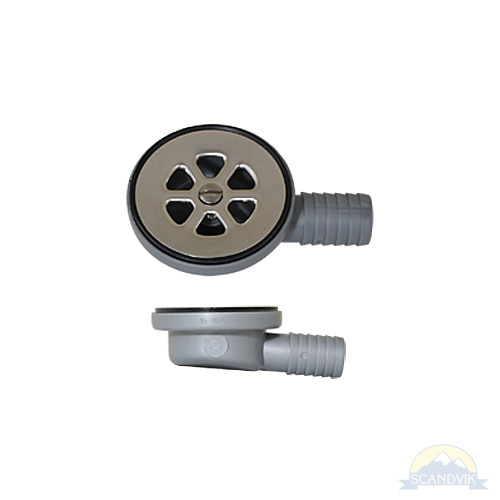 Fits a 2-1/16” drain hole with a 1” hose barb outlet. Strainer diameter is 2-3/4”. Requires 1-1/4” clearance below floor.